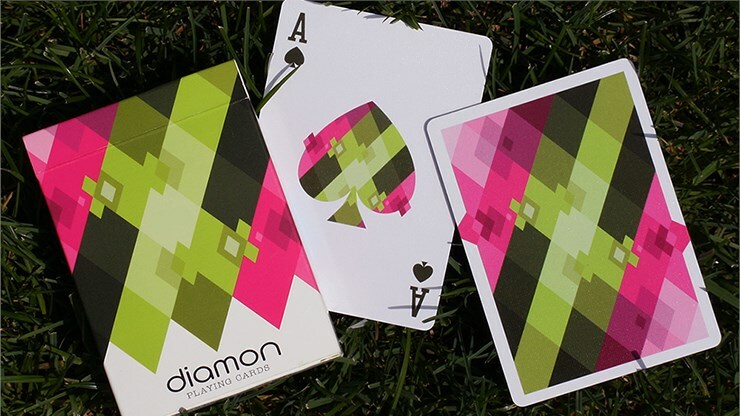 The Diamon Playing Card Series is back with a third edition: N° 8! 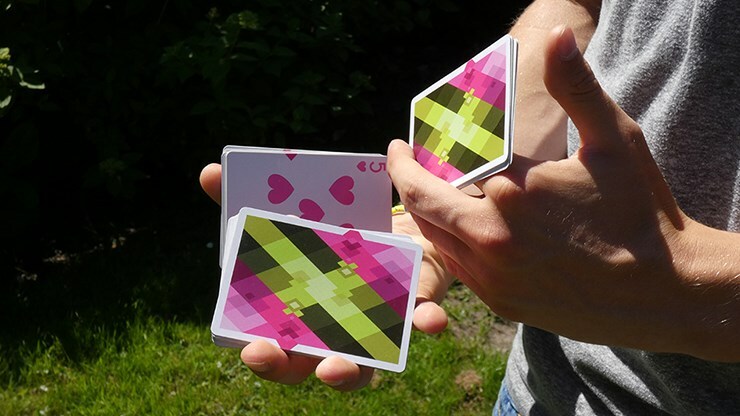 This time around, they came up with an eye-catching design that features the same unique diamond pattern as their previous designs. With complementing shades going from lollipop pink to seaweed green, the colors form a remarkable pattern. The brightness of this deck reminds you of a fresh summer day and makes you want to take it outside! They continued the trend of assembling diamonds together in such a way that it creates a geometrically pleasing pattern with vivid colors that pop when fanned, flourished and dealt. For N° 8, they decided to add little arrows on the face cards that line up with the arrows on the back. 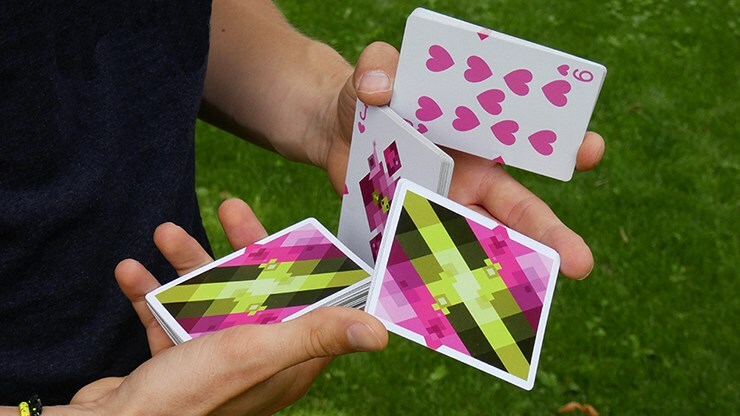 This adds an extra touch as the cards are fanned. Also, they have additionally redesigned the design of the custom tuck box, which makes N° 8 stand out next to its predecessors! After loads of positive feedback, the team has agreed to continue to work with the outstanding quality of the USPCC, to ensure the same feel as our previous editions. The cards will be printed on a Crushed Bicycle Grade Stock. This makes them last longer, feel incredibly soft, and have an amazing snap. The remarkable Air Cushion Finish will make the surface smooth, allowing beautiful spreads and fans. 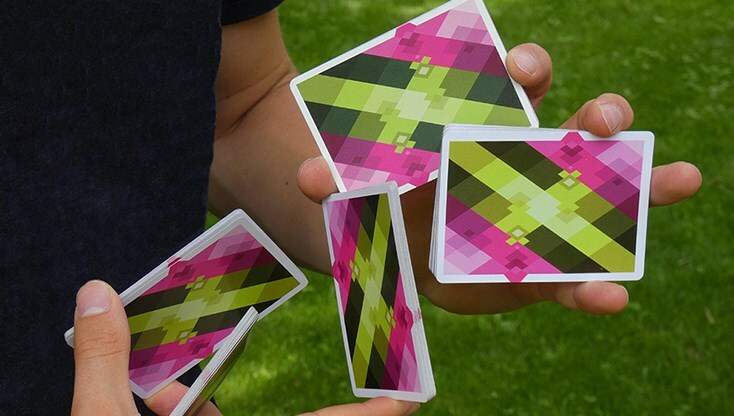 Last but not least, the cards will be traditionally cut for easy weaving techniques and Faro shuffles. 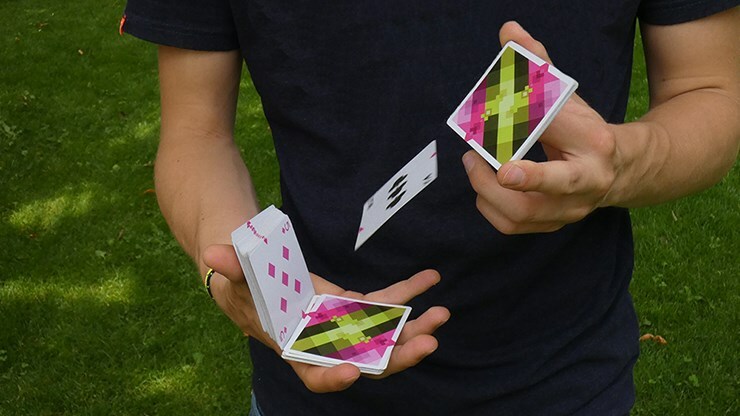 They designed a special gaff card to include in routines, or in simple flashy magic tricks. 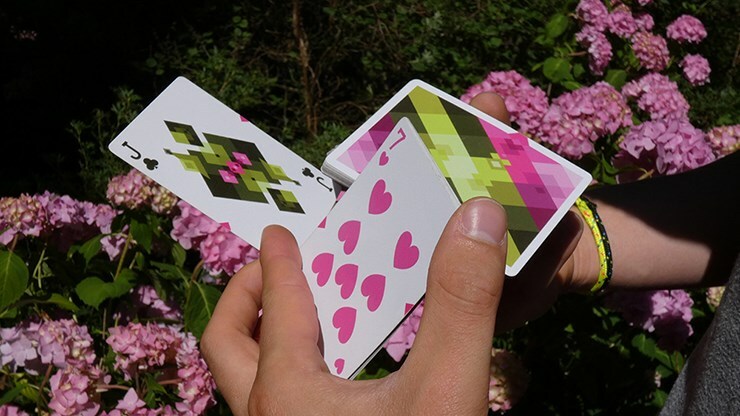 This card shows only the pink corners, allowing color changes and reveals!